The Air Force has been dealing with a pilot shortage, but the service’s elite four-year academic institution is doing its part to pump out qualified future aviators. More than 530 cadets from the U.S. Air Force Academy’s 2019 graduating class have been matched to attend pilot training pending final qualifications and commissioning. That is a 26 percent increase over the 2018 graduating class. “Airmanship is a large part of the academy experience, and a core part of our identity as a service, and we are proud as an institution to offer more flying opportunities to our cadets,” Lt. Gen. Jay Silveria, Air Force Academy superintendent, said in a press release. The increase in graduates heading to pilot training is part of the academy’s contribution to solving the ongoing pilot shortage. 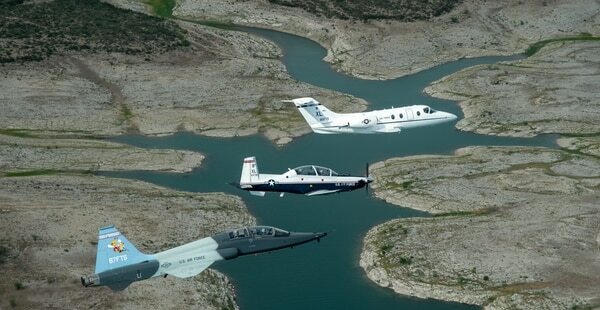 The Air Force Academy’s Operations and Analysis Directorate has been working with Air Education and Training Command to ensure the institution is producing a percentage of candidates capable of bypassing Initial Flight Training, the press release said. Some of these cadets could even move through a shortened version of Undergraduate Pilot Training, the release added. The academy is also planning to add flight-related courses to the sophomore and senior years to help cadets already leaning toward attending pilot training, as well as nurture that interest among others. During their time at the academy, cadets are already exposed to academic, virtual and hands-on flight training. Roughly 70 percent of each class participates in gliding, soaring or powered flight programs at the institution’s airfield, officials said. “The academy is uniquely situated to produce high quality candidates for pilot training,” Lt. Col. William Hartman, deputy commander of the academy’s airmanship training unit, said in the release. 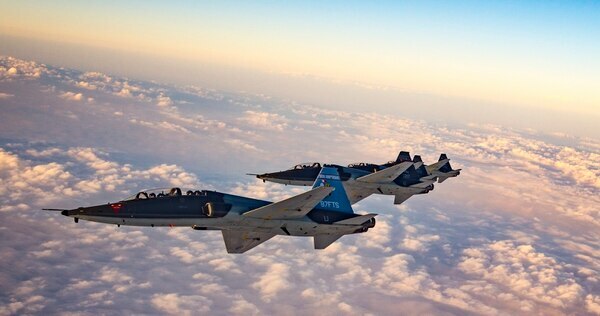 That unique capability comes from “cadets teaching other cadets and running cadet airmanship squadrons, and the mentorship from a broad range of military pilots in multiple fields," Hartman added. Candidates for Air Force pilot, remotely piloted aircraft officer and combat systems officer all begin training with initial flight screening and RPA flight screening at Pueblo, Colorado. There, candidates are judged on their flight aptitude and introduced to the realities of military aviation, according to AETC. From there, pilot candidates then attend either Euro-NATO Joint Jet Pilot Training at Sheppard AFB, Texas, or Specialized Undergraduate Pilot Training at Columbus AFB, Mississippi; Laughlin AFB, Texas; or Vance AFB, Oklahoma, according to AETC. The expedited training and renewed focus on producing pilots is expected to help put a dent in the service’s alarming 2,000-pilot shortfall. It takes the Air Force about five years of training and costs anywhere from $3 million to $11 million before a fighter pilot can lead sorties. Retaining these airmen, so that the service can recoup its investment, is also a challenge. The problem is compounded by commercial airliners that have been on hiring sprees over the past few years. To address the problem, the service has increased retention bonuses and worked to eliminate non-flying duties that keep airmen out of the cockpit. The Air Force hopes to train 1,500 new pilots each year by fiscal 2022. Air Force Secretary Heather Wilson said at a Senate Armed Services readiness and management support subcommittee hearing in October that the service trained 1,160 new pilots in fiscal 2017, and expects to train another 1,311 in fiscal 2019.